Welcome home to the prestigious Wood Ranch and the gated Fairways Community! 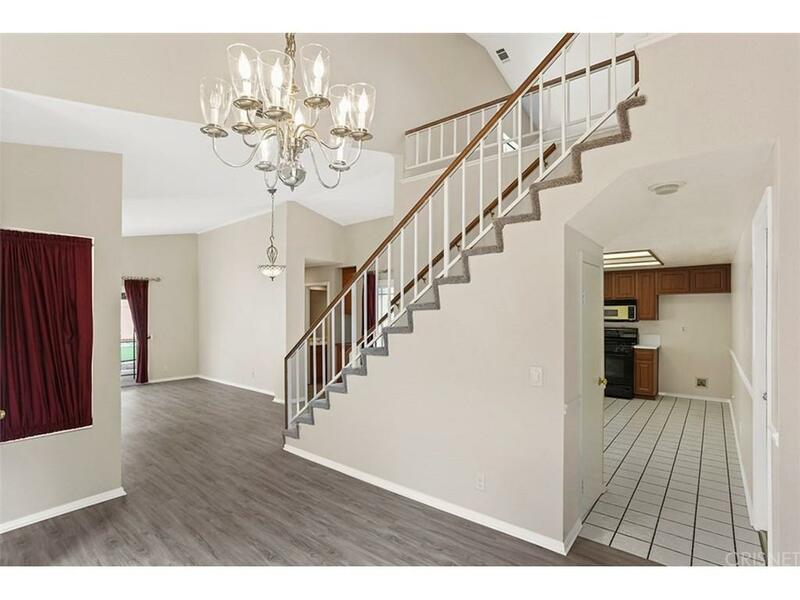 This 3 bedroom, 2 bathroom 1509 SF residence comes move-in ready with newly carpeted bedrooms upstairs and down, and stylish new laminate floors. 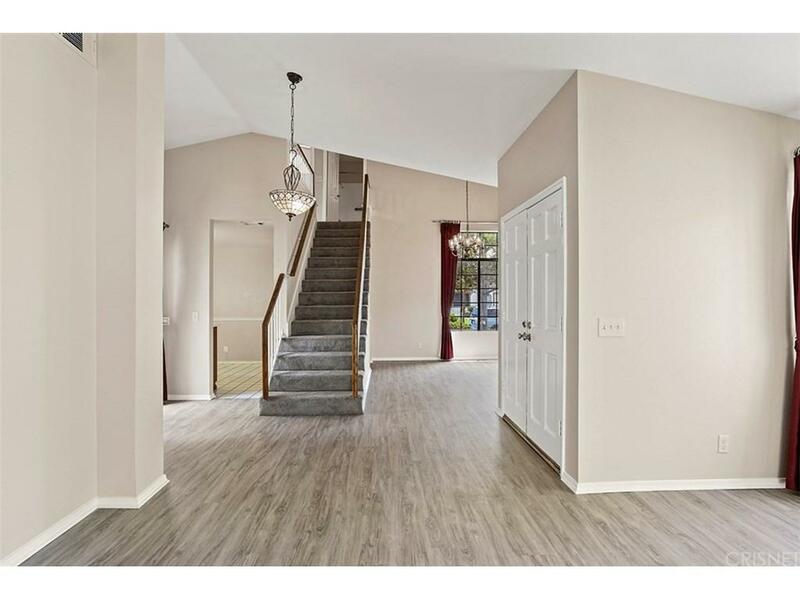 This home shows light and bright offering lofty ceilings throughout. The 3rd bedroom has currently been converted to an upstairs loft. Views of the surrounding hillsides and a peekaboo view of the golf course as well. Enjoy your interior open air atrium for bistro dining and downstairs master bedroom. Master bath features large tub shower enclosure and dual vanity plus patio doors to your backyard covered patio and low maintenance artificial turf grass. 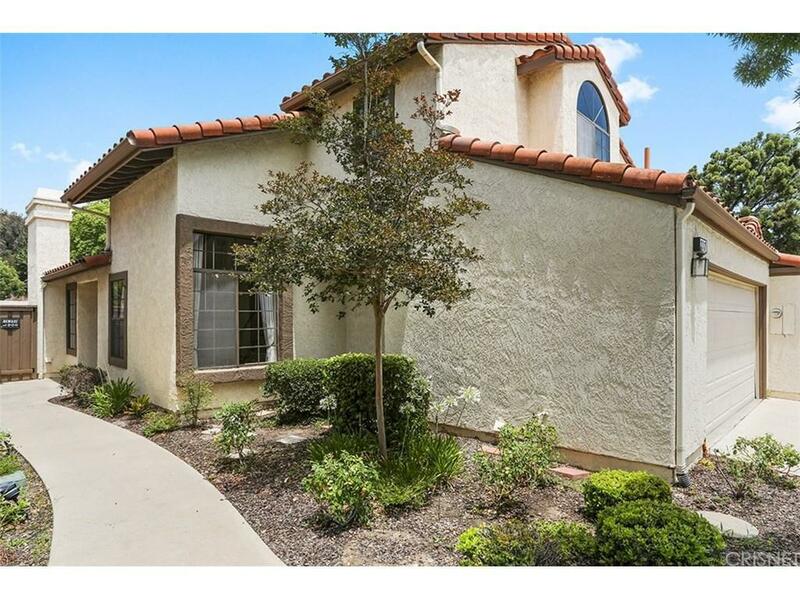 All this and a 2 car attached garage with lots of built-ins, community pool and spa, gated with 24 hour patrol, and close to shops, restaurants, stores, parks, private and public golf courses and the world famous Ronald Reagan Library. 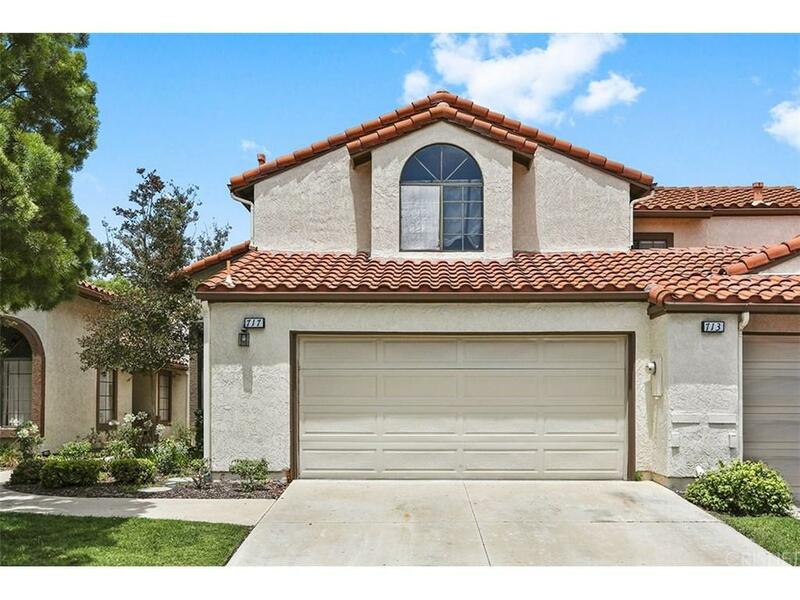 Sold by Davis Bartels BRE#00995378 of Help-U-Sell Full Service. Listing provided courtesy of Doug Puetz DRE#00995378 of Keller Williams Realty Calabasas and Jeffrey Vanneman CA DRE# 01443649 of Keller Williams Realty Calabasas.